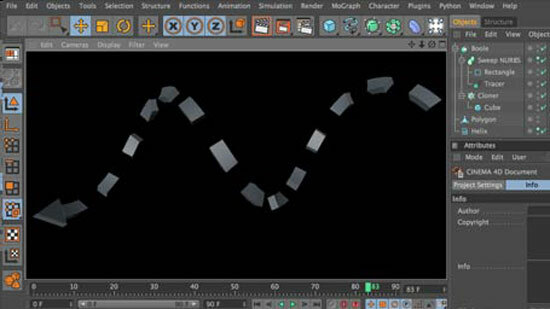 Learn how to create animated dotted lines in Cinema 4D. You can view the video version of this tutorial here. Step 1; First create a nurbs spline to be used for the path of the dotted lines. 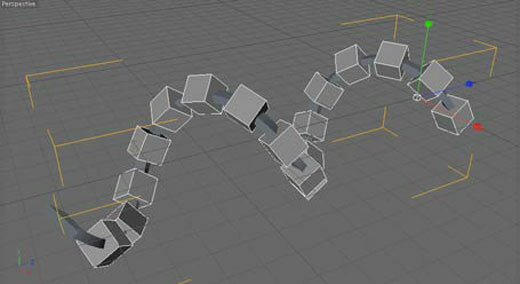 For mine I just used a Helix and adjusted the height parameters to stretch it out more. 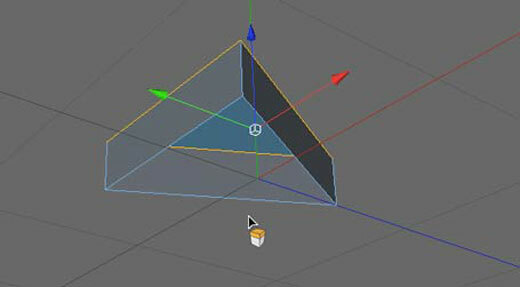 Step 2; Now create an arrow head by creating a Polygon object, then in the parameters click on triangle radio button. Step 3; Now make the object editable , then set your select feature to polygon faces and click on the triangle face. 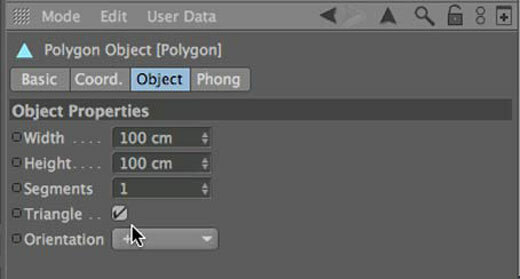 Go the Structure menu and select Extrude. When the menu pops up on the right hit the Apply button and you’ll see the triangle face now has some extra depth. If you want your arrow head to be thicker then you can always grab the arrows and further extrude the arrow shape. Step 4; Now you’ll notice that there’s a hole on the bottom of the arrow head. To close this hole select the Close Polygon Hole option in the Structure menu and then mouse over and click on the hole. 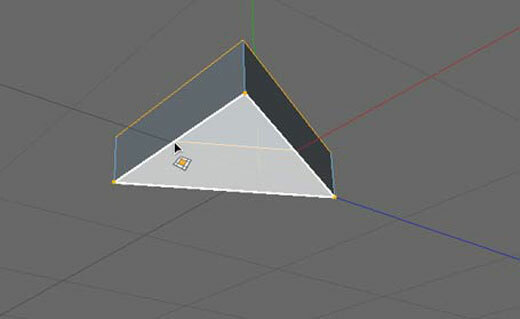 Cinema 4D will create a new Polygon face to fill in the gap. Make sure to move the center alignment of your arrow head to the back and center of the object. Just select the tool and move the center alignment till it’s centered in the back. This will make the arrow head rotate along the path realistically rather than if it was in the center. 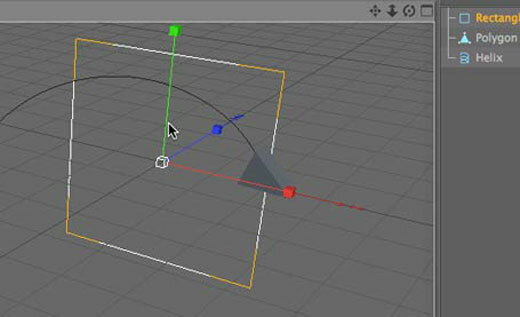 Step 5; All right now add an Align To Spline tag from the tag menu underCinema 4D Tags. 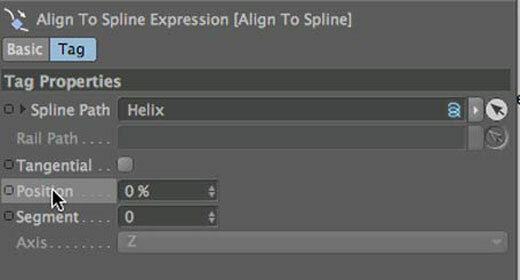 Step 6; Drag and drop your Helix spline into the Spline Path parameter. This will attack the arrow head to the Helix, just change the Position value and watch how your arrow head moves along the path. Step 7; If you notice that your arrow head is stiff and not rotating along the path just click on Tangential radio button to switch the rotation on. Now go to frame 0 set the Position in the tag to 0% and right click and selectAnimation, Add Keyframe. Now go to frame 90 and set the position to 100%and right click and add another keyframe. Then hit play and you can watch your arrow head animated across the Helix path. 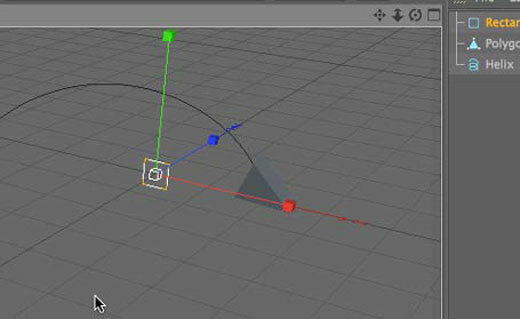 Step 8; In this next step you’ll need the Mograph plugin to create the dotted lines effect. 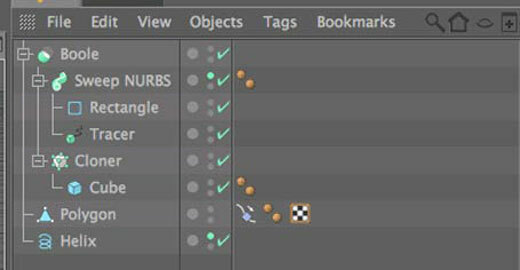 Add a Tracer object from the Mograph menu. 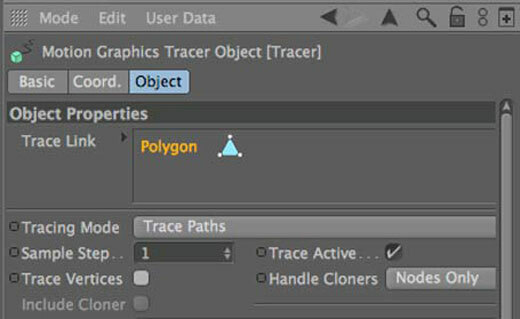 Drag the arrow head into the Trace Link parameters, then uncheck Trace Vertices. Hit play and you’ll see it trace out the path of object. Step 9; Now create a nurbs rectangle and scale it down, this will be used to create the solid line. Then create a Sweep Nurbs object. 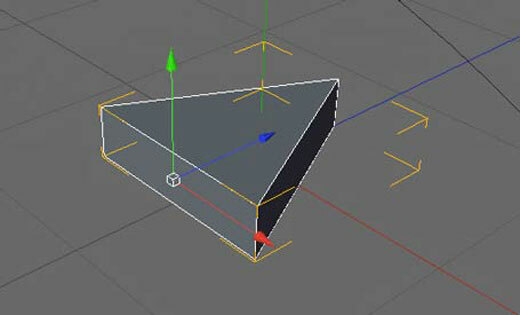 Then drag the Rectangle and Tracer object into the Sweep Nurbs and when you hit play you’ll see Cinema 4D generating a line based on the size of yourRectangle and the path of the Tracer Object. 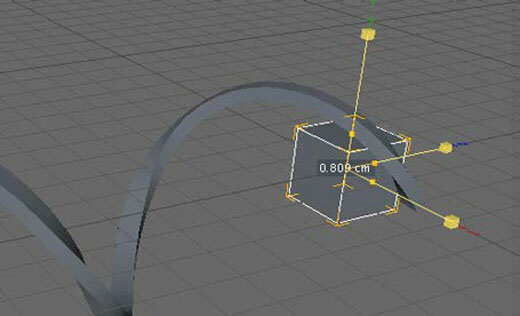 Step 10; In the Sweep Nurbs parameters turn off Banking to keep the curve from rotating. 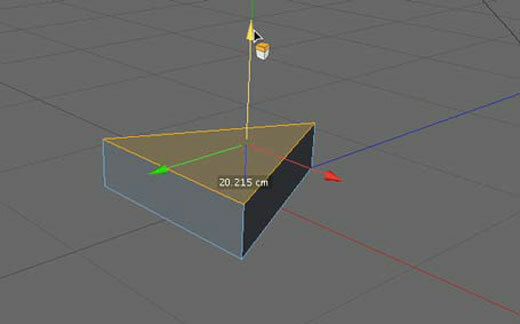 Step 11; Next create a polygon cube and scale the object down. 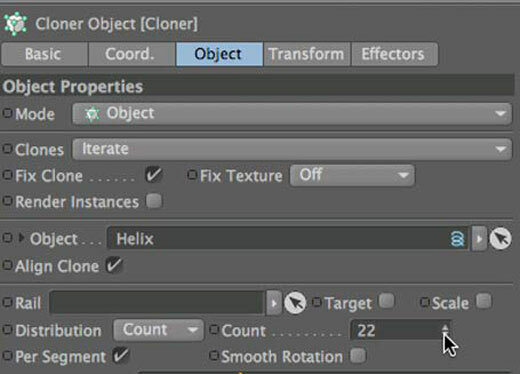 Step 12; Go into the Mograph menu and create a Cloner object, and drag theCube you just created into the Cloner object. 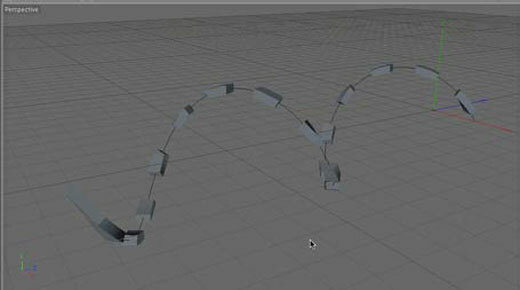 Then change the Mode to Object and drag the Helix shape into the Objectparameters. This will set our Cloner to make copies of our Cube along the path of the Helix. Step 13; Increase the number in the Count parameters to something like 20 or more. The more cubes we have the more dotted lines we will get. Step 14; Now we’re going to use that Cloner object to cut out holes in our solid line, so create a Boole shape. Step 15; Then drag the Sweep NURBS and Cloner Object into the Boole. It is important to make sure they are layered correctly otherwise you’ll remove theSweep NURBS from the Cloner object and your image will look really weird.